The Coronado opened on October 9, 1927 as an atmospheric style theatre and movie palace - complete with Spanish castles, Italian villas, oriental dragons, starlit skies and a Grande Barton Pipe Organ. 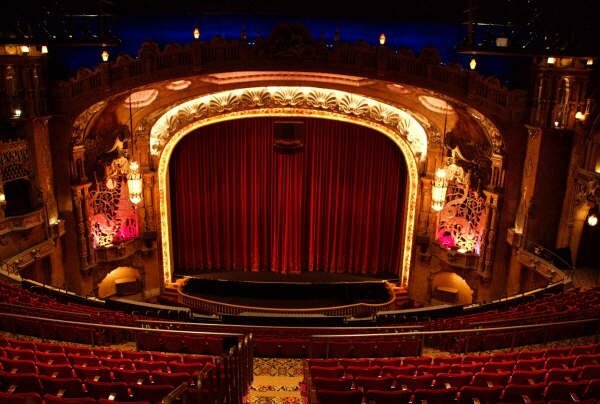 Countless show business legends, including the Marx Brothers, Tommy Dorsey, Frank Sinatra, Louis Armstrong, George Gershwin, Bob Hope, Sammy Davis, Jr., and Gypsy Rose Lee have performed on the Coronado stage. The Coronado was the romantic setting for countless movie-going couples on their first date, and a Saturday outing for kids watching cartoons and movies through 1984. Over the years, the theatre has also played host to high school graduations, political rallies and community events. After decades of use, the grand dame Coronado received a much needed facelift between 1999 and 2001, with the community-wide support of the city of Rockford, individuals and corporations. Spear-headed by the Friends of the Coronado, a non-profit organization formed in 1997, the theatre was reborn in January, 2001 in its original grand style as a state-of-the-art performance and entertainment facility after an $18.5 million restoration.